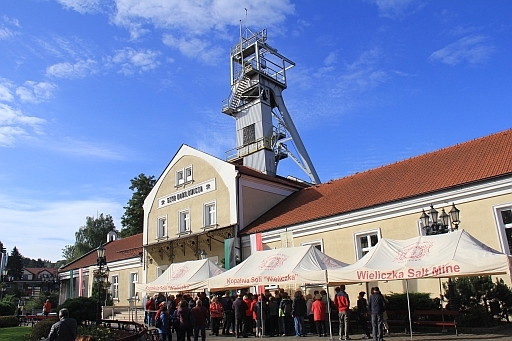 Just outside of Kraków are the Wieliczka Salt Mine. 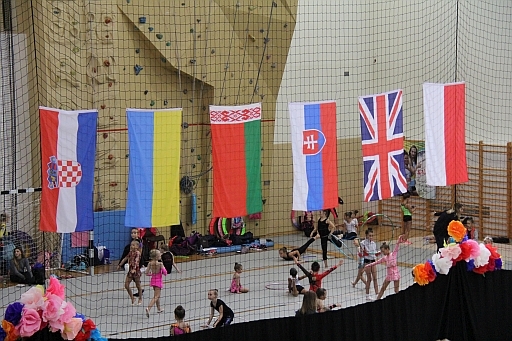 This is another primary tourist destination for first-time visitors to Poland. Be forewarned, to walk down into the mine is not for the faint of heart. 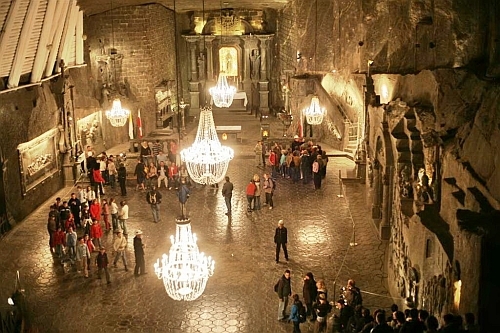 The tour itself takes you approximately 35 km underground and takes about three hours. The initial descent down into the mine takes you down 380 stairs! Luckily there is an elevator that takes you out of the mine and this can also be used for people who can’t walk the nearly 800 to 1000 steps it takes to get to the deepest portion of the mine. (…) I had been there in 2013 to pay my respects to my family and those that had been murdered there. During my genealogy research I discovered that relatives from all four sides of my family had been victims there. I really didn’t want to go back, because of the overwhelming heavy feeling you get while you’re there. But Denise wanted to go, and I didn’t want her not to experience and see what had happened. I think it’s important that people take this tour, regardless if you are Polish, German, and Italian, or whatever nationality and race you are. This is a place you need to visit out of respect and for remembrance so that the atrocities that happened here never happen again. My 75th birthday present to Poland. Last day – Three generations visiting grandparents. Below are photos of searching the villages. Walking the ground that my grandparents walked! My 75th birthday present to Poland. Day 3 – Looking for grandparents’ home. July 29th Zbignew picked us up again for another day of adventures. We sat in the hotel and went over a map of the places my grandparents and great grandparents Swiatek, Jasien and Balenski lived in the 1800’s. I had a record of the house numbers. We were on the road at 10a.m. and it was raining. We headed first to Pieniazkowice looking for the home of my grandmother Tekla Swiatek. This is the spot where my grandmother’s home once stood. Notice the mountains in the background. 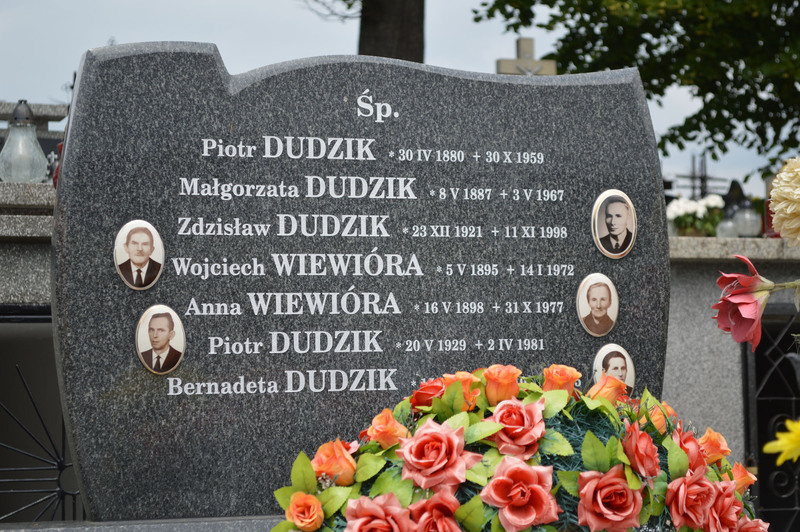 What we discovered about the Dudziks in Poland. Part 2. Grandma’s side of our visit. After visiting the Dudzik house we check into a very nice Agro House right there in Mecina. We discover word has gotten out into the village (population 3,000) that visitors from the USA are in town. 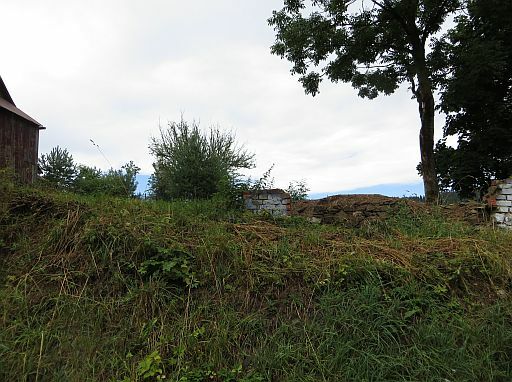 We race over to the historian’s home of Ludwika Dudzik and she is able to find our grandmother’s house and her husband, Stanisław will actually take us there. We drive down a small and twisting road to the home of Elisabeth Krzak Kielbasa and her family. How Elisabeth is related: grandma’s brother Stanislaus’s granddaughter. The family is very welcoming and Elisabeth is so excited and just so darn cute! They do not speak English so our wonderful interpreter Paweł has to work overtime keeping up with all the conversation that is happening all at once. We are invited into their home for tea/coffee and cake and soon an older woman walks in. This woman is our grandma’s niece (Stanislaus’s daughter) Casimira. WOW! Someone who knew grandma. She is so welcoming and excited to talk to us too. Casimira remembers our grandma’s visit to Mecina in the 1960s. Casimira told us that grandma and grandpa knew each other very well before leaving the village and that a group of them traveled together to America. They took us over to house 222 which is located right next to Elisabeth’s home. No one is living in there now. It has been renovated since our grandma lived there (she left Mecina in 1912) by her brother Stanislaus, he died in 1987. The home is extremely small. I can see why grandma left! It is so much smaller then our grandpa’s home. We enter the front door and told the area where we stood is where animals were kept, we turn right and this is the living area. I am led to believe this area is where they slept, ate and cooked. Very, very small. What we discovered about the Dudziks in Poland. Part 1. My grandfather’s side of the family. 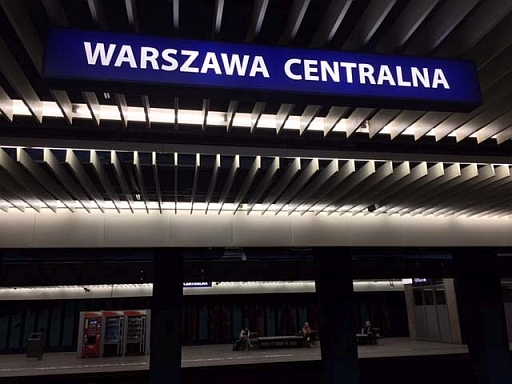 Susanne’s Genealogy Tour with PolishOrigins took place in June 2014. All the events described here happened in one day! We had a successful trip to Poland. 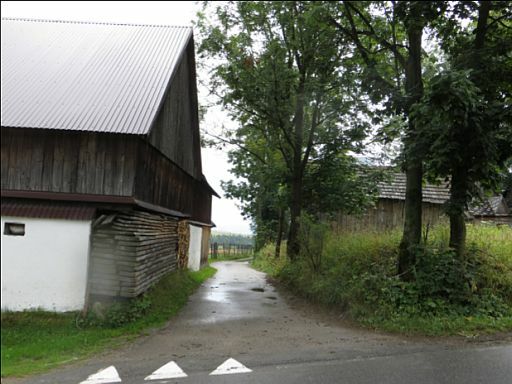 We actually met family and entered the homes of our paternal grandfather the Dudzik’s and or maternal side the Krzak’s. 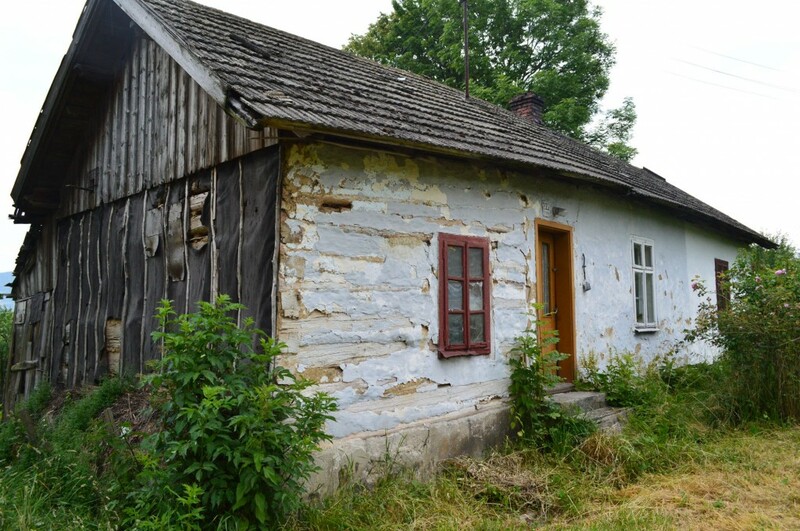 The Dudzik home, according to my research, can be dated back until the 1600s. It’s a very exciting story filled with emotion but I will try to keep it brief. My sister Kim, Steve (Kim’s husband) and myself drove to Mecina with our interpreter Paweł. 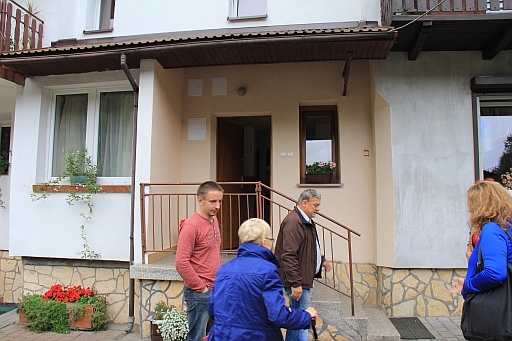 He told us that we will go to the home of Ludwika Dudzik, a retired teacher and the town historian. When we arrived in Mecina, Paweł called her from the church parking lot and told her about our mission and asked it we could come over. I had no idea it was a cold call! She said yes. We took a short drive to her home to find her very excited and nervous. I was also nervous and started to think this was a bad idea as it was awkward. She sits us down in the dinning room and quickly prepares tea and gathers cookies. Her husband, Stanisław, is cautious and doesn’t really talk. We determine we are not related, however she has all the home numbers in Mecina and a list of who owns the homes. She tells us number 32 was owned by Zdzisław Dudzik and house 222 owned by a family with our grandma’s last name, Krzak. We start with the Dudzik side: There was a lot of discussion between Ludwika and Stanisław, Paweł interrupts that Zdzisław Dudzik died 16 years ago. He was a fireman. He has a son however they are estranged and he lives in another village. Zdzisław suffered from Gangrene and the current fire chief’s family cared for him until his death. Since Zdzisław had no one to leave the home to he gave it to the fire chief’s family. As Paweł translates this story to us, Stanisław makes a phone call and soon after there is a knock on the door, in comes the Mecina fire chief, Eugeniusz! Eugeniusz and Stanisław took us to Zdzisław’s grave and there are a few people listed on the same grave stone, I check my research and now I am sure this is a relation. Dudzik Gravestone. Piotr is our grandfather’s brother.